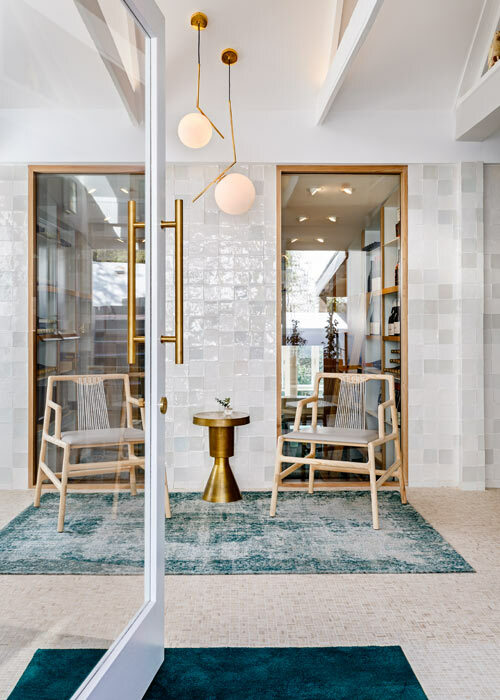 In just seven short years, Bone Studio has garnered a reputation in the interior design world as a dynamic team of strong, young creatives. 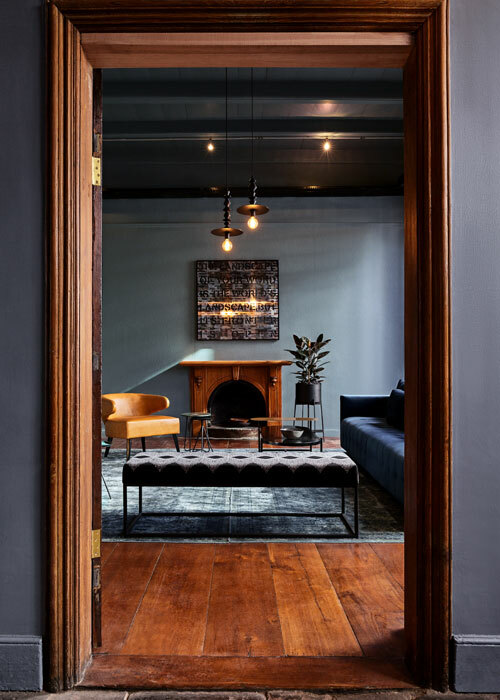 We recently visited their latest creation – La Colombe – and were left in a such a state of awe that we had to catch up with Nicola Ōrpen and Hayley Turner of Bone Interior Design Studio. 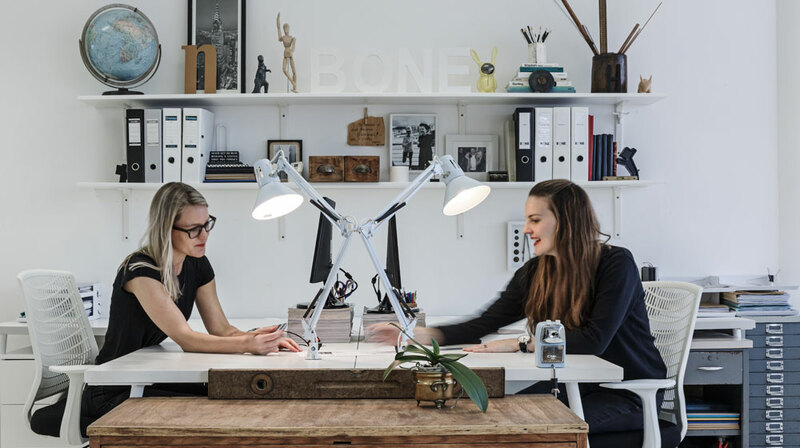 The team behind Bone Studio, Hayley Turner and Nicola Ōrpen, began their journey as co-workers for a previous company. They made such a great team that it was only natural, as creatives venturing for more creative freedom, to join forces. It’s fitting that the pair would go on to name their company Bone – as the name suggests, it’s design with spine. Working from the inside out – starting with technical drawings (dwgs, for those in the know) building onto of the foundation, until eventually there’s this strong design conviction. There’s this misconception, particularly amongst laymen that interior designers come in at the end of a build and add some scatters and curtains. Can you describe how you go about designing a space with a client? We decipher the intricacies of the brief, walk the site and see the potential of the build. We then begin with space planning – putting the concept to paper through space. 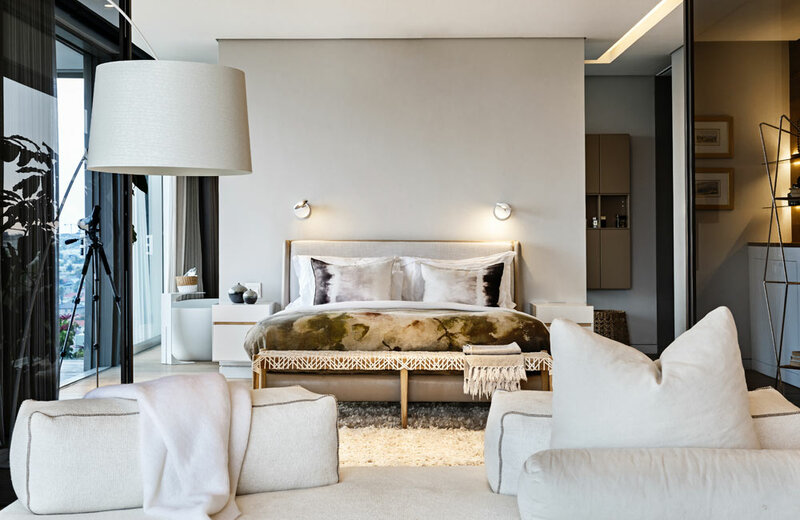 Everything begins with a basic spatial layout – how do spaces connect, relate, communicate with each other in relation to the functionality of the brief. Budget creeps in here and we make cost-conscious, effective decisions without compromising on the wow of the concept. Once the client feels good with the feel of the sketch layout partnered with the visual concept and budget we begin the technical work. 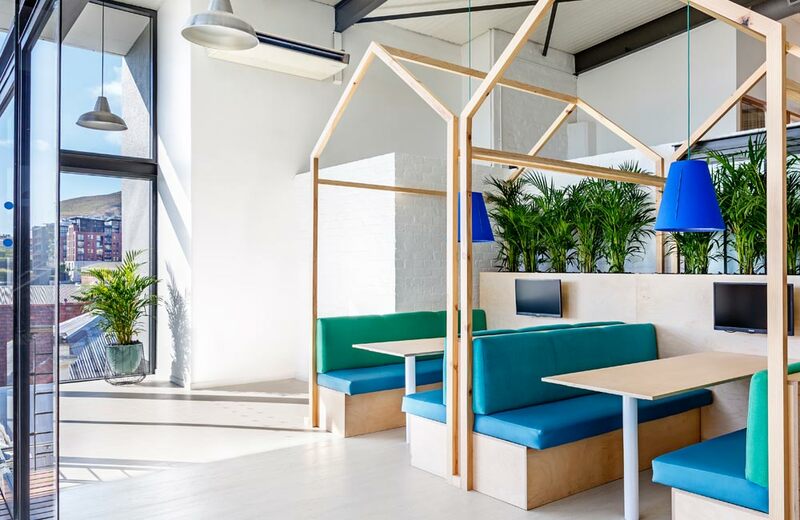 Construction, flooring, reflected ceiling with lighting and electrics, data and networking, Air conditioning layouts, plumbing, joinery and glazing details. Each of these drawings are not done in isolation but with the multi-layering of the concept in mind. We liaise with specialists and engineers to ensure the design works within every capacity. We tender the dwgs out to ensure the best pricing for our client and appoint the various contractors who we manage on site from site initiation through to completion and are able to hand over the space to the client de-snagged and reflecting the initial concept down to the last detail. Which person/designer has greatly influenced Bone Studio’s work? We don’t find influence from specific people but rather what organically comes to us. What was the process of designing the new La Colombe space, How did this brief differ from say, Foxcroft? La Colombe was a long-established brand with a reputation to uphold, whereas Foxcroft was a clean palette that we could conceptualise from scratch. 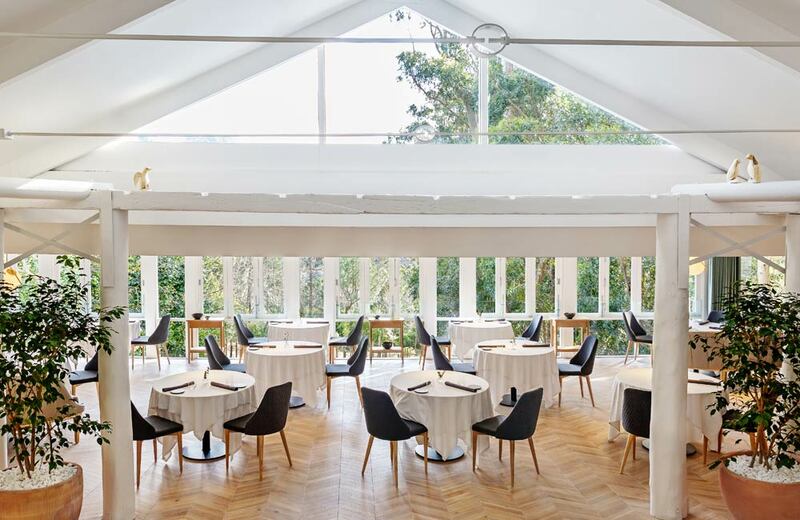 With La Colombe, the pressure was on to ensure that the restaurant matched the exquisite food; we needed to ensure that level of sophistication and detail was the focus – all within a 6-week timeframe. Removing the roof (during winter) and fully gutting the interior within that tight programme meant that quick decisions had to be made and there wasn’t much time for mind changing once we were running with things. With Foxcroft (although also a tight deadline) there was more time to get a fresh brand concept together, however, budgets were tighter so we had to push ourselves creatively within more confines. 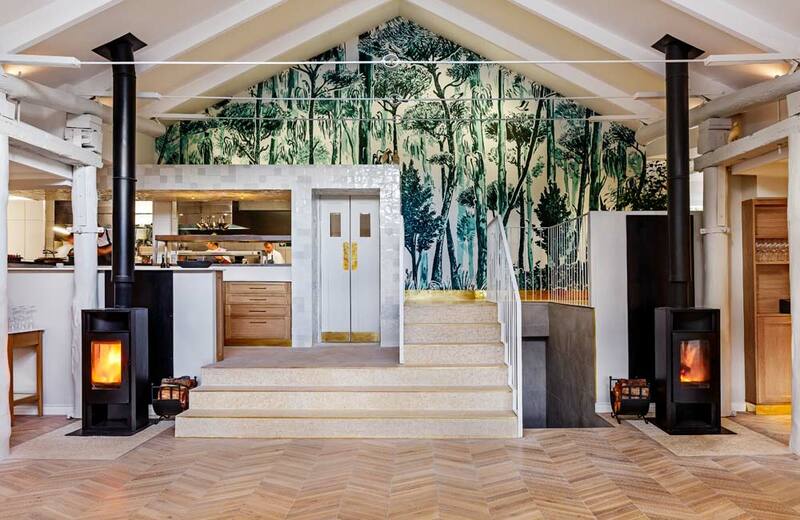 As you enter the new space you’re immediately drawn to the forest wallpaper, how did that piece come about? We had a strong concept in which we wanted to mirror the beautiful blue gum tree view onto the back wall in a stylised art piece instead of a generic wallpaper, creating a romantic, glass treehouse feel. We briefed the super talented artist, Lucie de Moyencourt, to create this majestic piece. Lucie meandered amongst the trees to get the Silvermist sense before she embarked on an inspirational Parisian trip. It was quite apt and romantic that she created the artwork for La Colombe (French for white dove) in the French Capital. She couriered the digital version to us and we worked with both Robin Sprong and a colour artist to get the right tones for the art piece. 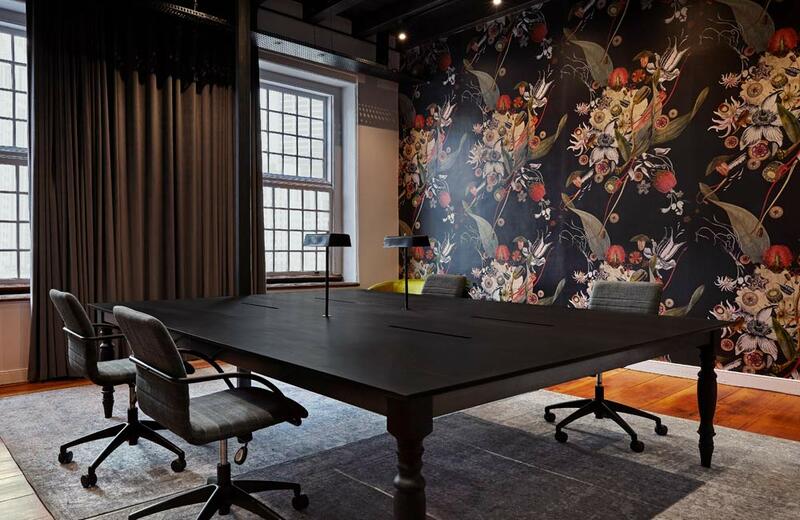 How important is collaboration for you, and how does that influence your approach to designing a space? Celebrating local artisans in our designs is both a cultural responsibility and a creative necessity. 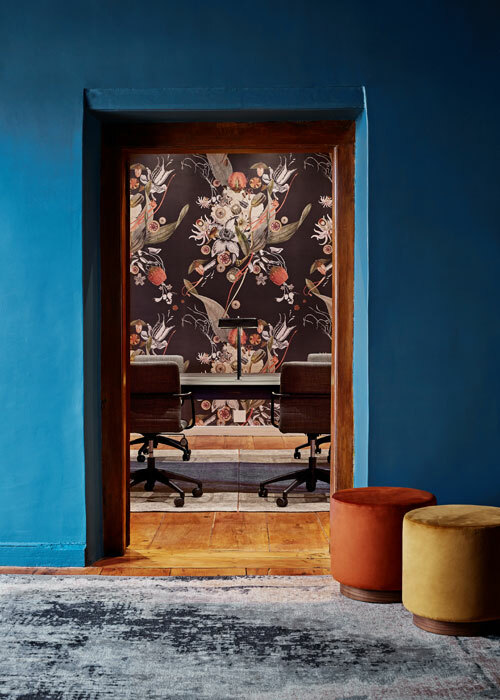 The most successful projects are always the ones born from collaboration and luckily, South Africa has creative talent in abundance, so we love working with new local artists/suppliers to actualise a vision. Do you have a preference for working with commercial/residential/retail/hospitality spaces? 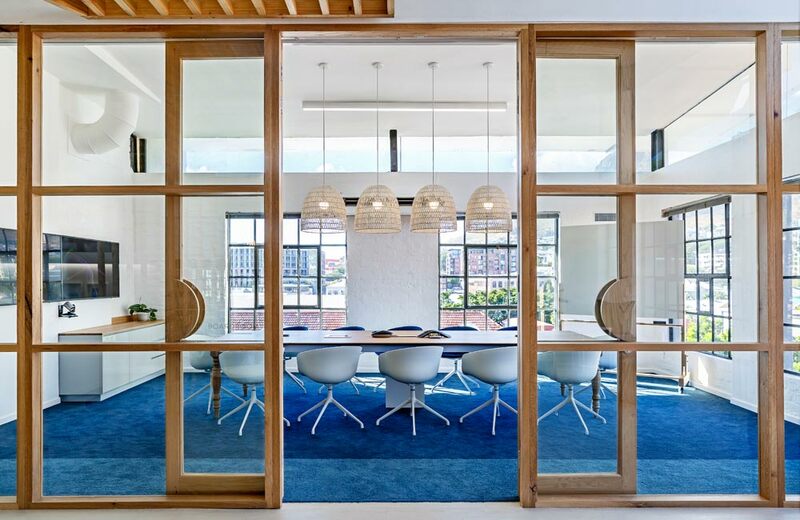 Each has their own virtue and vice, however, we love the fast-track nature of commercial/office and restaurant fit outs. So often as creatives we tend to overthink a design to death, so these tight programmes allow us to go with our gut and commit and somehow they are the projects to which people most respond. As a designer, how do you design a space that’s on trend but will also be relevant when visited in 10 years time? We tend to avoid trends 😊. We find these fleeting and we want to remain dynamic and not be known for a specific style/trend. 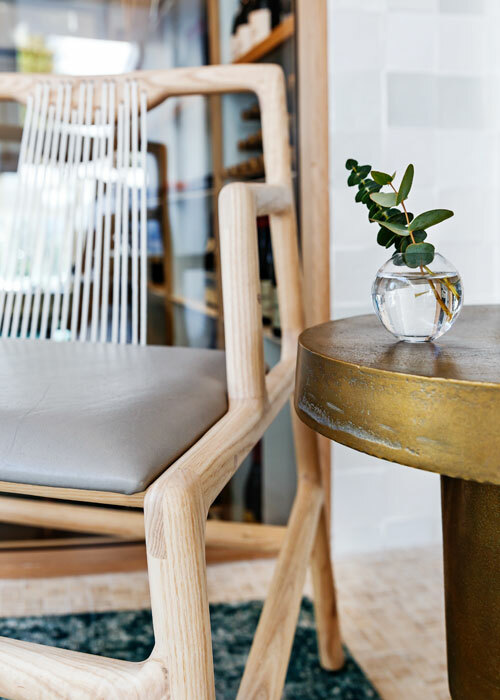 Instead, we focus on creating beautiful spaces that either breathe a client’s brand/culture and add value and quality of life to a person’s home. What would be your forecast for what will be hot in 2019? We find designers are moving towards a luxurious & retro/bohemian style with bold use of colour. This trend, although beautiful, needs to be used in a very focused and specific implementation and we think will date if used in abundance. What piece of advice can you give everyday homeowners looking to update their space? Always keep your classic and antique pieces. An eclectic home oozes soul, so pairing vintage with more contemporary pieces always works. If you’re wanting to dabble in colour but scared of the commitment invest in large colour art pieces that can rest on shelves and move from room to room as your mood changes. Scatters, throws and moveable items are cost-effective ways to add immediate change to a space. Paint your skirtings with a fresh coat of paint and find interesting and bold feature pendant fittings to immediately add a wow factor to a room/kitchen. Describe your favourite colour… to a blind person… Jade green looks like the smell of a pine forest. Which space would you most love to be commissioned to do? To restore and revive the iconic Good Hope Centre. Most outrageous client request? To put a helipad on the roof deck. Last piece of art that literally took your breath away? Andile-Dyalvane ceramics for Southern Guild are so innovative and unique. Favourite Instagram account to follow? @local_za_design. We love supporting and following what our local talent has to offer – its empowering and gets us inspired!